Portfolio Manager – Petya joined IWC in November 2013. Petya is an integral part of the ongoing management, reporting and administration of IWC’s private timberland fund of funds investment program. Her other responsibilities include coordination of and assistance on clients’ enquiries, client reporting and communication, as well as organizing IWC’s investor conferences. 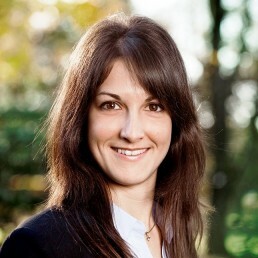 Petya holds an MSc in Economics and Business Administration with a major in International Business from Aarhus University, and the Claritas Investment Certificate awarded by the CFA Institute. Prior to joining IWC, Petya worked at Østerbro International School in Copenhagen as the lead for marketing and communication.